Each year, Shoes4Kids conducts a shoe drive in conjunction with the American Physical Therapy Association’s annual conference, NEXT, to provide new athletic shoes and socks to under-privileged and under-served children in the host city. This year’s conference took place in Nashville, providing Belmont University’s School of Physical Therapy with the privilege of hosting the Shoes4Kids event. As host school, the Doctor of Physical Therapy students were responsible for collecting, inventorying, purchasing and transporting hundreds of shoes for the event. 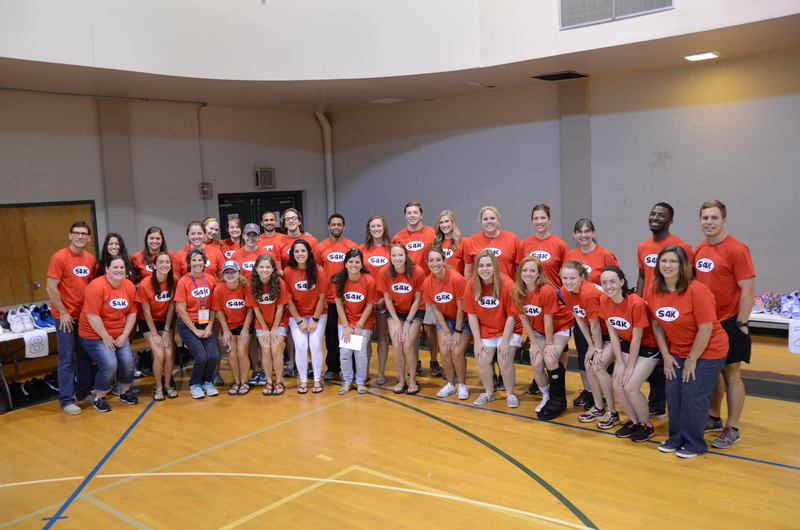 The Belmont PT students, along with faculty sponsor Dr. Christi Williams (‘05), collected over 800 pairs of new tennis shoes and socks, which were then distributed in the Nashville community with the assistance of Catholic Charities of Nashville. Students, joined by volunteers, formed the “Shoe Crew” and fit children with their new shoes and socks.